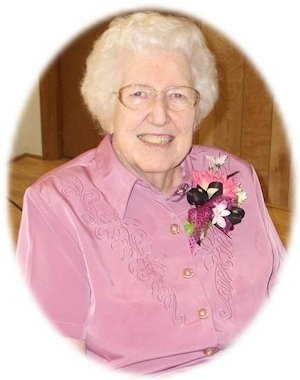 Obituary – Mittasch, Ilene Delcenia (Pricer) « Perry High School Alumni Association, Inc.
Ilene Delcenia Mittasch of Perry, Oklahoma was born July 7, 1925 to Henry O. Pricer and Lottie (Haskell) Pricer in Perry, Oklahoma. She passed away on May 25, 2011 at Perry Memorial Hospital at the age of 85. Ilene attended school in Perry and graduated in 1943. She married Mac Frank Mittasch on July 27, 1943, in Pawnee, Oklahoma. When Mac was called to serve in World War II, Ilene went to Wichita and worked in an airplane plant and for Kellogg’s cereal plant. After Mac returned home they made their first home in Perry. They later moved to Sumner rural community and then to rural Morrison in 1963. After Mac passed, in 1971, Ilene remained on the farm until 1976 when she moved to Perry where she lived until her death. She was a member of the Christie-Jones American Legion Auxiliary of Morrison and had been a member of the Perry Memorial Hospital Auxiliary. Ilene loved to play tennis as a young girl. She loved to go fishing and playing with her grandchildren. Funeral services will be 10:00 a.m. Saturday, May 28, 2011 at Brown-Dugger Funeral Home Chapel, Rev. Martin Foster will officiate. Interment will be at Grace Hill Cemetery. Services are under the direction of Brown-Dugger Funeral Home. Ilene is survived by two sons, Gerald “Jerry” Mittasch and his wife, Tena, of Carney, Oklahoma, and, Dennis Mittasch and his wife, Glenda, of Morrison, Oklahoma; four grandchildren, Mike Mittasch and his wife, Susan, of Morrison, Oklahoma, Deena Farrow and her husband, Marty, of Eufaula, Oklahoma, Stacy McKay and her husband, Bryan of Orlando, Oklahoma, Clay Mittasch and his wife, Nichole, of Stillwater, Oklahoma; eight great grandchildren, Nicholas Sidney, Nichole and Kaden Farrow, Cody Faries, Bryce Mittasch, Denver and Berkley McKay; three brothers, George Pricer of Texas, Loren Pricer of Perry, Oklahoma and Darrell Pricer of Broken Arrow, Oklahoma and a host of nieces, nephews and friends. She was preceded in death by her husband; parents; brother, Willie Pricer and sister, Clara Bunch. Memorial contributions may be made to the Christie-Jones American Legion Auxiliary, American Cancer Society or American Heart Association in care of Brown-Dugger Funeral Home, 1010 N. 7th Street, Perry, Oklahoma 73077.